Are you tired of mowing your lawn? Do you wish it mowed itself, or did not require such often mowing and care? Our company is here to help you. 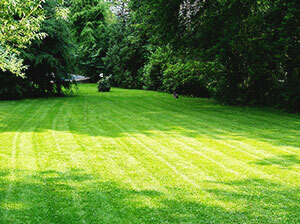 We are offering you to hire our amazing and very caring lawn mowing service, it is the best one you will find in Acton. Our gardeners are professional, very experienced and work to outstanding results. You will not regret choosing us for help, our prices are very economical. Our gardeners will come fully equipped with a wide range of lawn mowing machines and use one that is best suited for your lawn size and shape. We mostly use a walk behind mower for the grass areas, and a smaller one for though to reach places and for a more intricate work, such as around decorations, patios, fences, pathways, etc. Our gardeners know perfectly well how long the grass should be cut, so that it does not get damaged, and develop bald spots or dries. You can count on our gardeners for a nicely executed service, and when they are done with the mowing, they will of course, clean up after themselves. You can rest assure that no excess cut grass will be left on your lawn. You can hire our lawn mowing service, which is known to be the best one here in Acton, W3, for regular maintenance. 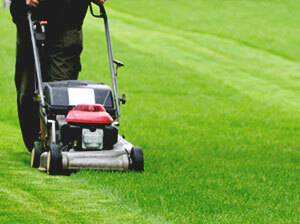 We will mow your lawn, yard, side grass areas, you can count on us for outstanding results. Give us a call as soon as possible, and let us help you. You will not have to deal with this chore any more.